Tetanus infection is a serious bacterial infection characterized by muscle spasms, it is also known as lockjaw. The spasms begin in the jaw and then progress to the other part of the body. Generally the onset of symptoms is seen three to twenty-one days up to several months of this following infection. It may take months to recover; in some cases it is fatal. People of all ages can get tetanus but the disease is particularly common and serious for newborn babies and their mothers when the mothers` are unprotected by tetanus vaccine. It is a non-communicable disease. Infection can be prevented by proper immunization with the tetanus vaccine. Tetanus is a serious bacterial infection caused by Clostridium tetani bacterium. This bacterium produces a toxin that affects the brain and nervous system, leading to stiffness in the muscles. The bacteria exist in soil, manure, and other environmental agents. Person who got a skin wounds cut or puncture wound with contaminated object can develop the infection. This infection is characterized by muscle spasms. These spasms generally last a few minutes each time and occur frequently for three to four weeks. Spasms may be so severe that bone fractures may occur. When Clostridium tetani bacterium enters to the body, they multiply rapidly and release a neurotoxin known as Tetanospasmin. When this neurotoxin enters the bloodstream, it spreads rapidly around the body & causing tetanus causing muscle spasms and stiffness. Muscle spasms may be intense enough to cause bones to break and joints to dislocate. Severe cases can involve spasms of the vocal cords or muscles can effect in breathing. 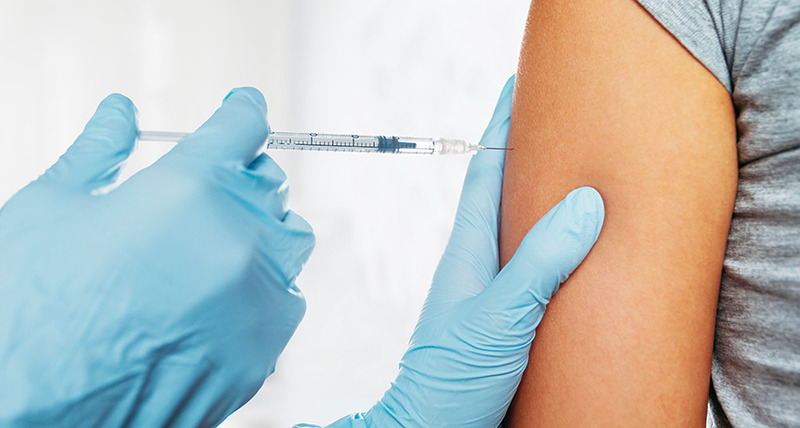 Tetanus can be prevented by active immunization vaccination with tetanus toxoid. The tetanus vaccine is routinely given to children as part of the diphtheria and tetanus toxoids and acellular pertussis (DTaP) does. Children should next get a tetanus vaccine using the Tdap vaccine at age 11 or 12. Any adult who has not had a tetanus immunization within 10 years should get a single dose of Tdap. After Tdap, the Td vaccine is recommended every 10 years. There are currently no blood tests for diagnosing tetanus. The diagnosis of generalized tetanus is usually made by observing the clinical presentation, sign, symptoms & history of past injury. Sometimes Spatula test can be done for diagnosis. Immediate treatment with medicine called human tetanus immune globulin (TIG) also called tetanus antibodies or tetanus antitoxin. It can be given as intravenous therapy or by intramuscular injection. Aggressive wound care- Cleaning the wound is essential to removing dirt, foreign objects and dead tissue from the wound to preventing growth of tetanus spores. Drugs to control muscle spasms, you may receive medications such as chlorpromazine or diazepam to control muscle spasms, or a short-acting barbiturate for sedation.